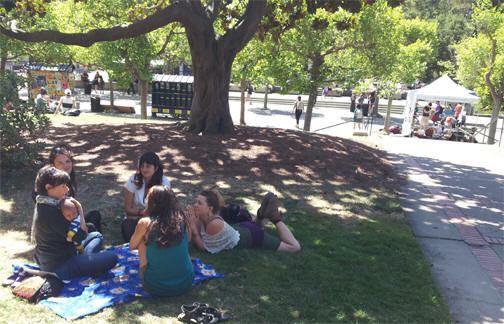 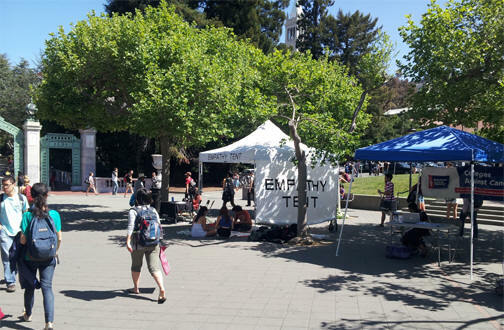 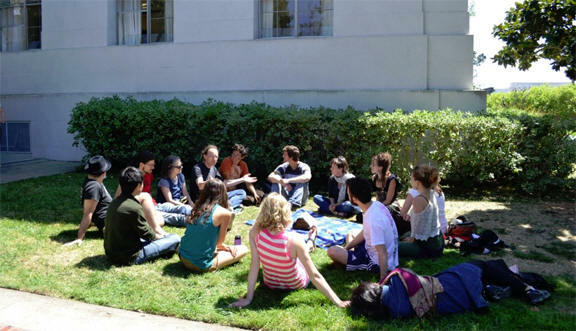 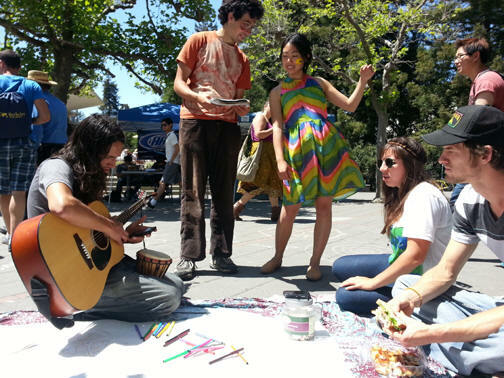 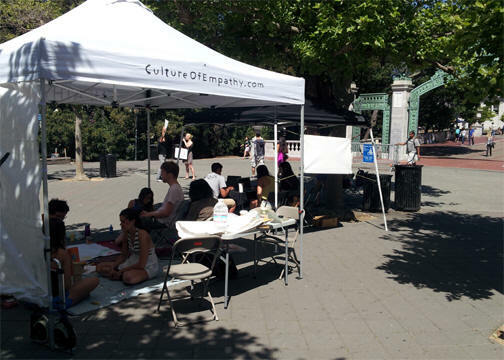 Please join us today, Tuesday April 23rd, for our Space on Sproul event, from 10 AM to 4 PM. 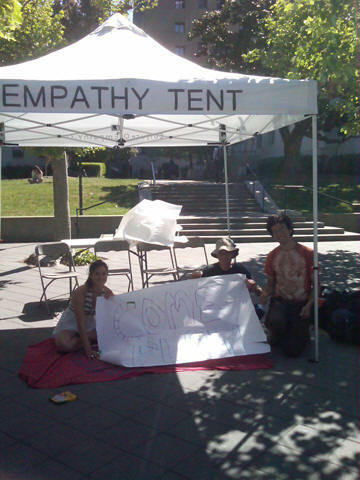 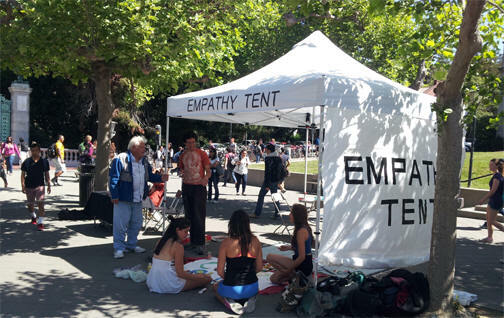 Look for the big white empathy canopy and a group of people having a great time. 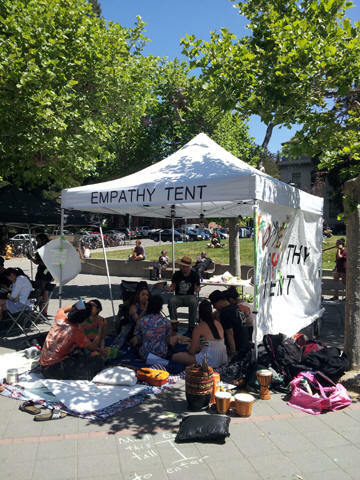 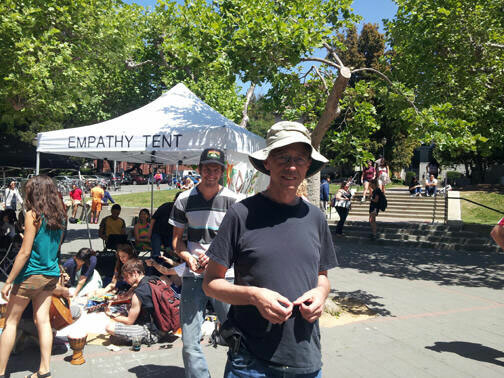 We'll have dialogue, music, art, empathic listening, dancing, frisbee, soccer, good company, yoga, meditation, singing, and more. 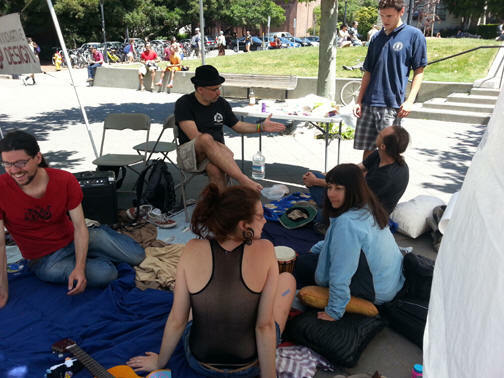 Feel free to stop by at any time, and bring a musical instrument, or an activity, or just bring yourself. 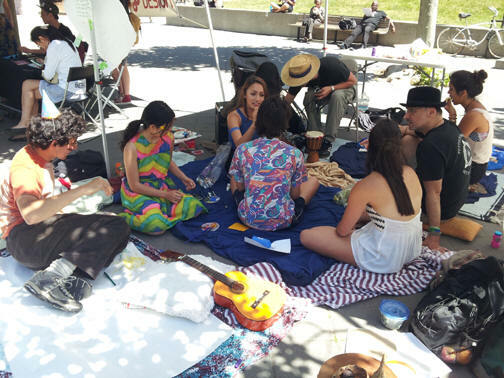 This is a chance to take a break from our daily stress and be together, to remember what's important and to co-create a space for creativity and love and community.